Micraster and (partial) echinocorys. the micraster is a particularly nice example. 2 flint field-found echinoids from sussex. 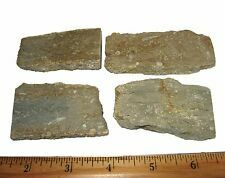 Very nice examples of Mississippian crinoids. Condition is Used. 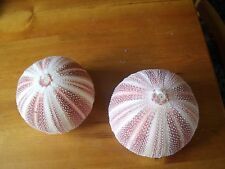 BEAUTIFUL HEART SHAPED SEA URCHIN SHELL. 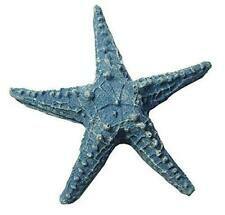 Beautiful piece for collection in its natural condition as collected from the bottom of the sea. Age: Jurassic. Finally after hundreds of thousands, or millions of years, the land is eroded and the fossil can be seen. Location Found: Madagascar. What is a fossil?. Fossils can be as tiny as a grain of pollen or a seed for e.g. or as huge as a limb bone from a giant dinosaur. Classic flat (irregular) burrowing echinoid. 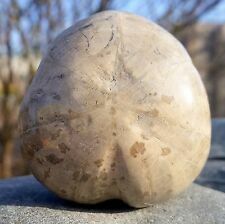 Age: Pliocene Period. Finally after hundreds of thousands, or millions of years, the land is eroded and the fossil can be seen. What is a fossil?. Fossils can be as tiny as a grain of pollen or a seed for e.g. or as huge as a limb bone from a giant dinosaur. Attractive pseudholaster sea urchin from Lyme Regis. Has some lovely details. 5cm in diameter. Preserved in chert. I combine on postage, please check out my other items and let me know before checking out. Fossil Crinoid. Approx 410 million years old. 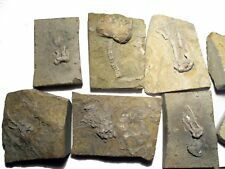 A set of 6Fossil Crinoid pieces. CRINOID FOSSIL & LAPIS LAZULI PENDANT, 24 gms. Reiki. Crystals, Healing,CALMING. Crinoid Fossil & Lapis Lazuli Pendant. Fossil stone is also helpful in keeping one grounded, aiding in stability and physically stamina. THIS BUY IT NOW PRICE OF £9.99 IS FOR ONE PENDANT ONLY. Can be used to attract and retain wealth. There are two theories about how these bulbs worked. The bulb bobbed around at the water surface with the crinoid dangling underneath in the water column. This allowed the animal the ability to cover great distances searching for food. Flint Echinoid Sea Urchin Seeigel From Denmark. Condition is Used. Dispatched with Royal Mail 2nd Class. 3 cm echinoid approx The echinoid has been acid treated to bring out the detail. Crinoid, Scyphocrinites Sp. Scyphocrinites are another form of Sea Lilly but unlike most Crinoids they floated untethered to coral structures. 150mm x 140mm x 25mm (thickness). The crinoid is 140mm tall including the stem. Superb detailed fossil. Block measures about 10cm. Two stunning specimens, one complete. A great addition to any fossil collection. 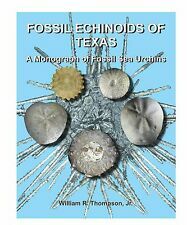 It is a complete and nicely detailed echinoid. Miocene, Badenien. Around 20 Million Years. Tostaree, Victoria, Australia. To this end, I will do my best to respond as quickly as I can to any queries or concerns. This is a detailed museum quality reproduction of aScyphocrinus elegans Crinoid from the Silurian/Devonian Period (about 400 MYA). CRINOID FOSSIL & ROSE QUARTZ PENDANT, 28 gms. Reiki. Crystals, Healing, CALMING. Crinoid Fossil & Rose Quartz Pendant. Fossil stone is also helpful in keeping one grounded, aiding in stability and physically stamina. THIS BUY IT NOW PRICE OF £9.99 IS FOR ONE PENDANT ONLY. Can be used to attract and retain wealth. 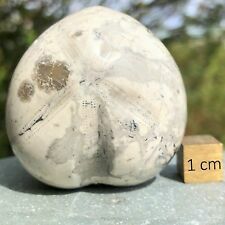 A beautiful polished Pygurus Marmonti fossil Echinoid from Madagascar. From the Jurassic Period, this is approx 160MYO. A great display piece, addition to a collection or would make an interesting paperweight. British fossil echinoid / sea urchin Echinocorys SP. from SUFFOLK UK. Echinocorys sp. BRITISH FOSSIL SEA URCHIN / ECHINOID. 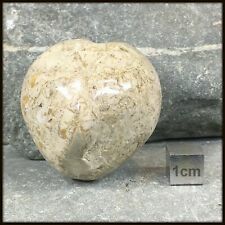 British fossil sea urchin / echinoid. found in Suffolk. Genus: Echinoid. Age: Cretaceous Period. Finally after hundreds of thousands, or millions of years, the land is eroded and the fossil can be seen. What is a fossil?. Fossils can be as tiny as a grain of pollen or a seed for e.g. or as huge as a limb bone from a giant dinosaur. Crinoids are marine animals, It is very rare to find this type of clorfull crinoid fossil with a lost of details visible. Age- Paleozoic. 10x10x5cm. Sponge from the Cretaceous Period. I try to represent the good and bad aspects of this item. Species: Echinoid. Finally after hundreds of thousands, or millions of years, the land is eroded and the fossil can be seen. Fossils can be as tiny as a grain of pollen or a seed for e.g. or as huge as a limb bone from a giant dinosaur. Saccocoma is an extinct floating crinoid that lived from the Jurassic to the Cretaceous period. Age: Jurassic. Finally after hundreds of thousands, or millions of years, the land is eroded and the fossil can be seen. LOOKS ALMOST LIKE A FLOWER PATTERN.